The most recent World Economic Forum Global Gender Gap report found that it will take another 200 years to achieve parity in the workforce. This serves as a stark reminder to all of us to continue to push ourselves to do more. At BSR, this past year was focused on deepening and expanding our work, including efforts in new industries, the development of influential guidance on gender and supply chain management and the launch of a refreshed HERproject strategy. As we look ahead, we are closely tracking three events in 2019 that have the potential to alter how business influences women’s empowerment. The debates rage on as to what the impact of automation and new technologies, dubbed the future of work, will have on entire industries, overall employment and current social policies. Amid this debate, BSR will partner with Women Deliver to explore these challenges through a gender lens. At the Women Deliver Global Conference, the world’s largest global conference on the health, rights and well being of girls, BSR will host a private sector pre-conference: How Business Can Build a Future of Work That Works for Women. The event will bring together companies and experts to explore whether the future of work will erase gains in employment and work quality women have made or potentially contribute toward improvements in women’s workforce participation based on new skills and increased flexibility that can benefit women workers. The Women Deliver Global Conference, which convenes only once every three years, will gather nearly 7,000 participants in Vancouver June 3 through June 6, providing an ideal opportunity to connect global businesses committed to gender equality with grassroots women leaders and organizations from more than 177 different countries. In addition to the private sector pre-conference, the BSR team will highlight HERproject’s work on the advancement of female workers in global supply chains, Business Action for Women’s work in providing a platform for collaboration and knowledge sharing — and the need to address the disproportionate impact of climate change on women. 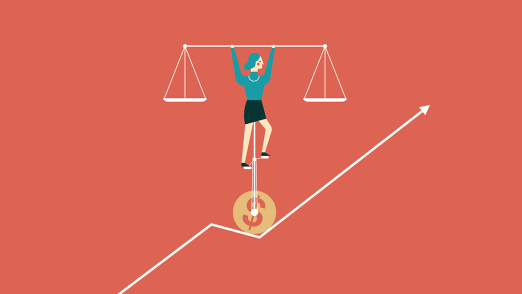 There is a growing realization that women often experience business-related human rights abuses in a distinct and disproportionate way in various situations such as discrimination in hiring and pay, challenges with labor rights due to the nature of women’s roles in global supply chains and increased instances of harassment and violence. In response to this, a new set of recommendations and findings related to these and other challenges will be presented to the UN Human Rights Council this June. The UN Working Group on Business and Human Rights seeks to effectively apply a “gender lens” to the UN Guiding Principles on Business and Human Rights (UNGPs). The work emerged following the recognition that the business and human rights field has not fully captured the differentiated impacts of “business-related human rights abuses on women” and the additional challenges women face when trying to access effective remedies. The goal is to provide guidance to both governments and businesses on “how to adopt a gender lens in implementing the UNGPs,” including by making the case for the importance of doing so, developing guidance and bringing together experts to collaborate on solutions. BSR’s Human Rights and Women’s Empowerment teams are partnering to create a series of tools and resources to assist companies in better integrating gender into their human rights due diligence. As part of their due diligence, companies will need to examine their impacts and policies on workplace harassment and violence more closely. The public momentum behind #MeToo will is requiring companies to consider their support and response to not only the new gender lens of the UNGP’s recommendations, but a new binding International Labor Organization (ILO) Convention on violence and harassment at work as well. Given the global operating context in which 59 countries still do not have laws protecting against sexual harassment at work, a new ILO Convention can provide the necessary internationally-accepted standard to prevent and respond to harassment and violence at work. BSR will explore the forthcoming convention, opportunities for companies to support it and more in a webinar on April 17. Accelerating the pace of change in workplace gender equality efforts will require the types of multi-stakeholder efforts represented in each of the initiatives listed above. Civil society organizations help to identify systemic realities facing women. International standards help to define what good looks like, and business can implement and scale solutions to reach wide numbers of women. This year, BSR will pay close attention to the three issues listed above as we continue to pursue a future in which women achieve equity and empowerment in all settings, including the workplace.